On your PSP go to Settings, then Network Settings. Infrastructure Mode, New Connection, Enter Manual. Go to the SSID option and call this new connection something obvious that you can remember and spot later. How about 'My shiny new PS3'? Why do you need a password? Because if you don't have one enabled then anyone drifting by within 802.11b range (the standard used by the PSP) will be able to take control of your PS3. Go to the WLAN Security Setting and edit the SPA-PSK (AES) setting. Enter the WPA key - this is an eight letter password to identify your PS3. We'll let you pick your own password for this. Again, make it a memorable one. 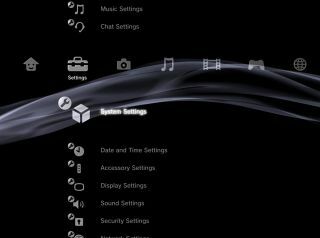 On the PS3 go to the Settings option on the XMB, then Network Settings, Remote Play Connection Settings. Enter the same SSID name (i.e. 'My shiny new PS3') and enter the same WPA key you dreamt up in step 2. Congratulations. Your PS3 is ready to be violated by your PSP. Go to Network on your PS3, choose Remote Play. It'll start looking for your PSP. Pick up your PSP and go to Network and select Remote Play on your PSP. Your PS3's menus will now appear on your PS3's screen. Drive around with the PSP D-pad, just as you would with the Sixaxis controller. You can see (and change) anything on your PS3 - play music, look at photos. The data is streamed wirelessly to your PSP. The only things you can't see is anything in the Game Menu or DVD/Blu-ray movies inserted in the PS3's drive. However, you can play any movies that you have stored on the hard drive. Press the Home button on your PSP. Go to Settings and change the Response Time to suit. The faster the response time the quicker your pad pushes are transmitted to the PS3, but you'll pay for this speed with a slight lowering of picture quality.